Since I can remember, I have always been sensitive to the charms of nature. This fascination was further instilled in me when I got my first camera and began my adventure with photography. It grew to become my greatest passion in life. My favourite themes are undulating farmland, foggy mornings in the mountains and lakes. I try to make every picture a separate story in which the light conditions are my main protagonists which play with the scenery and make each day and season look beautiful and unique. Poland Based photographer Marcin Sobas captures mesmerizing images of agricultural fields and hills of Tuscany, Italy and the Czech Republic using the effects of light and weather. His approach is unique, instead of capturing the entirety of the landscape; he uses a telephoto zoom lens allowing him to take tightly cropped shots that appear both immense in scale but extremely specific in scope. 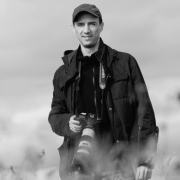 This renowned photographer has a Masters Degree in Economics and is currently developing a professional career in IT.